There are many profitable markets within football betting you can get involved with – the goals market is one of the best. Although it can be one that many sports betters will overlook, it actually presents a great opportunity to profit in the long term, as long as you make the correct selections. It is certainly a weapon to have in your football gambling armoury to bring out when the occasion calls for it. 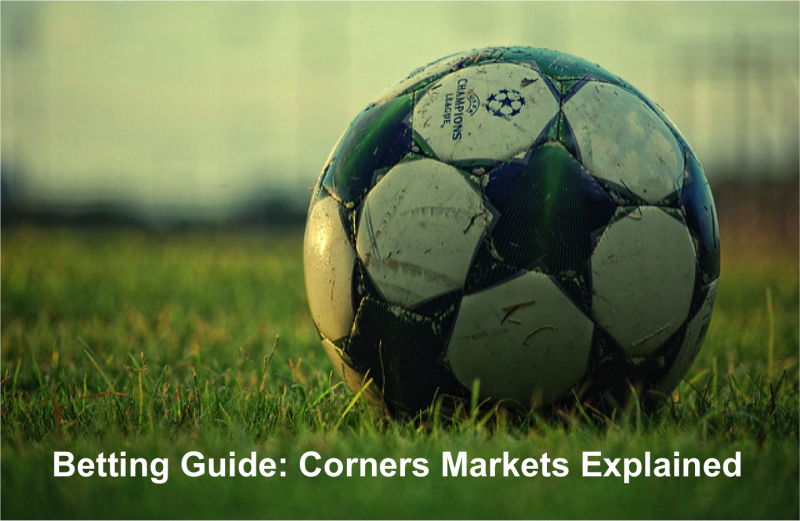 This guide will give you a full introduction to all the Goals markets in football betting and explain in more detail how you can use them. To sum up in simple terms, this market encompasses betting on the goals that might occur in a game. This can anything from whether both teams will score to whether you expect more or less than a certain number of goals within a selected game. Many punters will use this market as the odds you get can be generous and it can be easier to predict than match outcomes. As with other markets of this ilk, it makes the outcome of the game irrelevant as it is based on the goals in the game rather than who wins overall. As noted above, the first part of this guide will walk you through the most common markets in this niche of football betting. We will also take a look at the benefits and drawbacks for each of the most common markets. This will mean you not only get fully informed on what the different markets are but also which might be the one you like the sound of best. As with all sports betting, there are many options you could follow but it is wise to pick one that suits you personally. This is probably the most well-known and most wagered on aspect of the Goals market. You will find it offered on pretty much every game at pretty much every bookies! This market enables you to make a decision on whether you think a certain amount of goals will be scored or not in a game. If you think the game will yield more than the amount you bet on, you would place an 'Over' bet. If you however think it will be under the amount of goals you are betting on, then you would place an 'Under' bet. Obviously, you win your bet if the final amount of goals in the game goes your way. To take an example, if Liverpool are playing Everton in the Premier League you might suspect a tight game as they often are. With this in mind, you might put an 'Under' 3.5 goals in the game bet on. This means that if there are 3 goals or less scored in the match you have won. This can be a combination of any score with any team winning (or a draw) as long as that criteria is met. If the game ended 3-0 to Liverpool, you would win as there were under 3.5 goals in the match. If it was 3-1 however, you would lose as there would have been a total of 4 goals in the game. This market is great for beginners as it is simple and easy to learn. It is also widely available for all games as noted above so is always available to take on if desired. The only real downside is that the safe bets have pretty low odds, so it is sometimes not the most profitable. This form of bet is quite similar to the Total Goals market in that you bet that there will be 'Under' or 'Over' a certain amount of goals in the game. It does however have a couple of key differences that gives it increased flexibility and more chances of a return on your stake. For this reason, it has become very popular with punters lately. This bet involves setting a Goal Line figure for the match to bet 'Over' or 'Under' on. This can be in whole numbers (i.e. 2), decimal amounts (i.e. 2.5) or a mixture of the two in one bet (i.e. 2 / 2.5). You would win your bet depending on the outcome of the game and what your goal line target was. The neat trick wit this bet is that if you set a split goal line target (i.e. 2 / 2.5) then you may get half of your stake back even if the total bet doesn't win. If you have set just one Goal line figure (i.e. 2) then you would get your stake returned in full if the final goals in the game was that exact figure (i.e 2). Probably the best way to explain this market is with an example or two. Let's say that you put an 'Over' Asian Goal line bet of 2 total goals in a given match. If 0 or 1 goals are scored, then your bet loses. If 2 are scored you get your stake back while 3 or more sees you win. For the same game, let's pretend instead you put a split Asian goal line bet on of 2 / 2.5. If 0 or 1 goals are scored you would lose while 2 goals would see half you stake returned. 3 or more goals in the game means you win your full payout. This is like the Catchphrase of the goal market as it is as it sounds. In this bet you are putting your money on both teams scoring in the match if you bet 'Yes'. This means you will win regardless of the overall score or match result, as long as both teams get on the scoresheet. If you decided to bet 'No' you are betting that both team will not score. You would win this bet as long as neither or only one team scored in the selected game. If it is 0-0 or 4-0, you win, and it doesn't matter which team comes out on top. For this reason, this type of bet is very popular. Not only is it easy to pick up for new sports betters but it can be one of the easier markets to predict. The odds you can get are usually quite generous too for what is essentially a 50/50 bet. When thinking about this market, you need to look at the two teams involved. If they are both attacking teams who concede goals, then a 'Yes' bet here might be wise. Conversely, if they are both tight at the back but don't score often, you might bet 'No'. The total team goals market is an interesting alternative to the more well-known ones above. The way this market works is that you are betting on just one team in the game to score a minimum number of goals overall. Your bet will win regardless of the final result or score as long as the team you put the bet on exceeded the minimum amount in your wager. As an example, lets imagine Nice are playing Rennes in France's Ligue 1. You think that Nice will score a couple at home in a tight encounter so place a bet on the 'Over 2 team goals or more' market. This means that if Nice score 2 goals or more in the game, you win. If they score 1 or 0, then you lose. This is a great market to consider as it makes the match result academic and can be easier to call. The odds in this market are also usually quite long which can see you bag some fabulous value in the long term. You obviously need a good knowledge of the team you will be betting so you can gauge how many they may score in that particular game. It is not advised to place a bet here without doing your research or having an in-depth knowledge of the selected team. If you are looking for a different way to bet on the goals market, why not consider this? As the name would suggest, this market involves picking a team who you think will not concede in the match. You simply win your bet if your team does not let any goals in. Of course, you could always look at it the other way and choose a team to bet on that you do expect to concede. As with some others in this market, this is very easy to pick up and understand. It is also easy to work out if your bet has won come the final whistle! If you bet that a team will get a clean sheet, you will get better odds but run a greater risk of losing. Just one goal will sink you, even if your team then wins. The 'No' bet is safer but gives shorter odds which is something to factor in when thinking about it. Although this market is simple, still remember to do your research so you make the right move before diving in. This is a bet that you may not have come across before but is one worth knowing about. As the name suggests, it combines two of the markets we have looked at previously in this guide but in one whole bet. When placing this bet, you can bet on 'Over' or 'Under' a certain amount of goals in the whole match as well as 'Yes' or 'No' to both teams scoring. The advantage with doing this is that you will get longer odds and potentially better returns on your wager. The drawback is that it can be harder to predict both outcomes correctly and win – if one doesn't come off, the bet loses. To place this bet, you are needing to find two attacking teams with poor defences if placing a bet on 'Over' a certain amount of goals with 'Yes' for both teams to score. This is because the chances of both teams finding the net and it ending up over the total amount of goals you have bet on is pretty good. On the opposite side, if you find two teams that don't score many and have great defences then you may be tempted to go with 'Under' a certain amount of goals and 'No' for both to score. If the game ends up 1-0 for example and you had done this with an 'Under 1.5 goals' bet, you would have won. Of course, a very popular way to bet on football now is via the half time results market. If you have never used this before, it is simply betting on what will have happened by half time in the selected game. All of the above Goals markets that we have looked at can be used on the Half Time markets too so that may be something that appeals to you. The main draw with this way of betting is that you will get longer odds which means greater potential winnings. Of course, the risk you are taking on is higher as you only have one half of the match for your outcome to happen in. With this in mind, you should only bet on the Half Time Goals markets when very sure of the bet you are placing. One bet that has become increasingly popular with football punters is this one. In simple terms, you are betting that the team you pick will score in both halves of the game. For example, if Napoli were playing Chievo in Serie A, you may feel this is likely to happen. If Napoli score 1 in the first half and 2 in the second, then the bet wins. To make this a viable bet to take on, you really need a game where you fully expect one team to be much stronger. If you find this then the excellent odds you will get make it a wager worth thinking about. Of course, the long odds reflect the fact that it can be a hard bet to predict and certainly not a banker as such. This type of bet is very similar to the above, but you are betting that your team will score in just one half of the game. To carry on with our above example, if you bet Napoli would score in the first half and they did then you would have won. The upside to this bet is that you should get some pretty good odds to take it on. Do be careful though – it can be very tricky to predict which half they might score in, especially in a tight game. To even think about taking this bet on, you need to research the team in question and find out when they tend to score their goals. It is vital to know about the different types of Goals market you can bet on, but just as key is making the correct choices when placing a bet. After all, if you have no clear and accurate way of picking winning bets, which market you use becomes a little academic! With that in mind, this part of the guide will help you pick out the bets that have the most chance of coming for you. Many managers constantly blame low confidence for a team's poor showing. While this may seem like an excuse, it is actually very true. A team low on confidence will very likely be in a poor run of form as a result. As a serious football gambler, you need to factor this into any decisions you make on which bet to place. Naturally, the best way is to get onto the internet and do some research. There are many football sites now that give lots of stats for pretty much every major league going. Take advantage of this and check out the team you are thinking of betting on before you part with any money. Obviously, you need to look at their last few results and how they got on but that is not enough. For the Goals market, which this guide is angled towards, you need to checking out stats on chances made and shots on target. Find out if they have been scoring regularly and how many on average in the last few games. Take the time to look at how many goals they have conceded and scored also as this is key. Remember to do this for both teams in the game you are looking at as the Goal market you may bet on could involve both (i.e. Both Teams To Score). Even if it the market you bet on is just for one of the teams, what they other one offers will have a big influence on it winning or not. Another essential piece of pre-game information you need is the team news for both sides. You are looking here for any bans or injuries to key players. If any of the star players are missing, then it will have a big impact on the Goals market. A talented striker and main playmaker out for one team may see them not score for example. It is not just attacking players to factor into this equation though. As covered breifly in our Definitive Guide to Football Betting, missing key defensive players can have just as much effect on the Goals market in a game. A team missing their main man at the back may be more likely to concede a higher number of goals for example. One thing that managers love to do which is annoying as a sports better it is to change their team at regular intervals, depending on the game. Cup games are notorious for this, but you can see it in the League too, especially at the end of a season. If the manager of a club feels the game has little or no importance then he will most likely put out a second string, weakened team. Be careful to watch out for this before putting any money down! It is easy to assume someone like Liverpool will put out their best 11 with Salah, Mane and Firminio in attack but if Klopp decides to rest them all, the picture changes! With an inexperienced player like Solanke up front on his own, will they rattle in 3,4 or 5 as you may usually expect? This habit of resting players for unimportant matches by managers can make them very hard to predict all of a sudden, certainly for Goals markets like Total Goals. The best advice if you spot one or both teams have rested key players is to find another game that is easier to call! This bit of strategic knowledge is related to the above but in effect for the opposite reason. Imagine you are Bayern Munich in Germany – you have already won the Bundesliga at a canter and have a game against lowly FC Koln. The trouble is you also have the Champion's League final just days after this game. In this kind of situation, the manger of Bayern will most likely rest his key players with one mind on winning the Champion's League. Naturally, this will have a massive effect on the Goals market in the game you are considering betting on. The other scenario that may come into play is that Bayern will put out a full strength 11 but the players themselves are distracted by what is on the horizon. They may play poorly as a result which again makes the game you are looking at hard to predict. Again, it is probably just better to find another game to bet on in this case. For any kind of market when betting on football, this type of research is vital. The Head to Head record of the two teams you are looking at will give you a real edge when thinking of where to put your money on the Goals market. What you really want to be looking for is a consistent pattern from the previous few games between the two. Are there always lots of goals or not many? Do both teams normally score or does one win to nil usually? Does one team dominate and get a couple in each half normally? Looking at the info and answering the above questions will help you decide which Goal market your money should go on and which way to bet. One of the little foibles within football is the difference you see for most teams in their home and away form. Some teams are very strong at home yet poor on the road while others travel much better. This natural tendency within teams can have a big affect on the number of goals within a game and needs to be considered. If you have a team that is great at home for example with a team that hasn't scored or won away for the last year then this would give you an idea that the home team will dominate. It would also flag up that the away team may continue their run of not scoring also. With this information in mind, you can then select the best Goals market to put your money on. "Do your research first, then select the bet you will take on and only then look at the odds being given!" A lot of punters look at odds first and then use them to guide their selections. This is a really big mistake as you are then doing your research with the odds colouring your thinking. When you factor in that most punters will naturally be drawn to the big odds that have a lower chance of coming in, you can see why this is a problem. Don't be put off by perceived low odds either! If the odds are low, then you must remember that this is the bookies way of telling you they expect it to happen. It is much better for long term gains to take on lower odds that actually win more often than longer odds that only come in once in a blue moon. Of course, the caveat with all this is that you must get value. Carefully selecting you bet after doing your research will allow you to look at the odds being given and assess if they offer true value. If you fully expect one team to win and the bookie has them at 5.00 for example, then there is some value there that may be worth taking on. If on the other hand, the odds were merely 1.05 then you would have to question if the return you may get is worth the risk. One type of game to avoid when betting in the Goals market is Cup games. They are just too unpredictable and hard to make a confident decision on. So many potential hazards come into it like resting of players, the importance of the game and a lower placed team springing a shock that it is really not a wise move. Find yourself a nice league game to bet on instead as they are more stable to risk your money on! This is not only a great tip for life in general but also for football betting! Bad weather in a match will make scoring goals much harder and thus lead to low scoring games. It is certainly not worth betting on the 'Over' Total Goals markets here as a quagmire of a pitch could easily see a 0-0 bore draw. The savvy punter may have spotted an opportunity the other way though! Bad weather could make you consider the 'Under' Total Goals markets as these have a higher chance of happening. If you have never used the Goals market before when betting on football or simply wanted more advice, then hopefully this guide has helped. As you can see from the contents, this market can be a very lucrative one to use, provided you use your research to make a wise choice. Combining the correct market with the relevant research is the secret of long-term profits in football betting. Make sure to fully read and understand this guide to supercharge your efforts in the Goals markets of football betting.